A Global Understanding : Kathmandu - disturbing yet confusing. As I walk into boarding gate C3 at Bangkok Airport for my Thai Airways flight to Kathmandu, things are very different compared to my previous flights to Nepal. The gate is almost entirely full of humanitarian and relief workers. Some in full rescue uniform, such as a large contingency of Philippine search and rescue officers, and a few members from Norwegian Church Aid. Passengers carry tents, sleeping backs, bottles of water, medical equipment, and food. Nepalese passengers sit anxiously waiting to board, come carrying blankets and bags of personal hygiene products. The mood clearly demonstrates I am not going into a ‘trekker and hippy paradise', which was Nepal before last Saturday’s earthquake, but that of a disaster, a place in dire need, still in recovery mode. The flight is quiet. 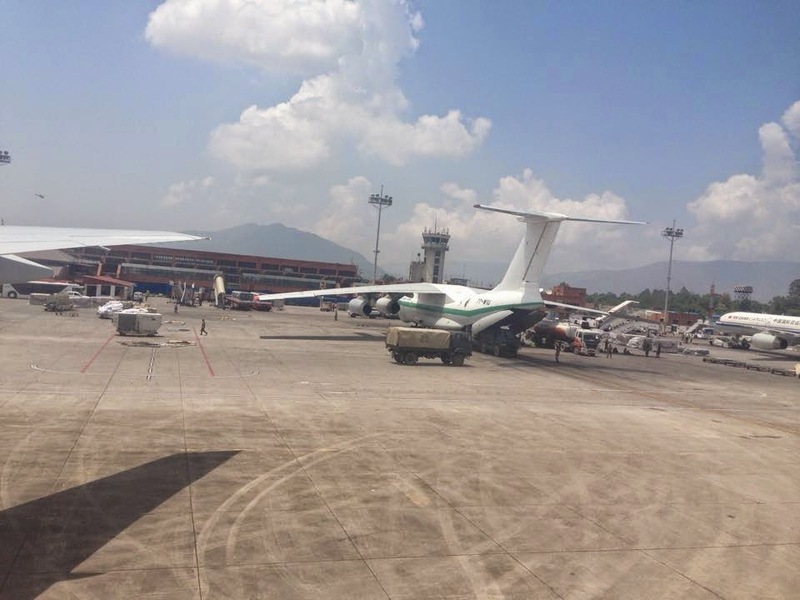 Upon approach into Nepalese airspace the captain announces we will be circling for an unknown period of time due to over capacity at Nepal’s only international airport, the single runway, Tribhuvan Airport. One hour later we land and one is instantly reminded of the peril of landing at Kathmandu Airport, with a Turkish Airlines A330-300, the one that chaotically slid off the runway in March, closing the airport and significantly affecting the whole country, parked to the side. Cargo and military aircraft are in abundance, including the Indian, Chinese, Algerian, Nigerian, Singaporean, Malaysian, and Pakistani Airforces’, and large Russian made UN registered aircraft that look as if they should have been retired in the 1980’s. The decrepit airport is a hive of activity, clearly demonstrating something large scale is occurring. Singaporean and Algerian troops who are resting in the shade on the side of the runway take photos of our taxiing aircraft, and UN and WFP staff assess large crates of recently delivered aid. In fact there is so much aid sitting in crates on the tarmac that it would take days to clear and deliver to those in need. Makes one think of the problematic nature of large International Organisations handing over an enormous amount of foreign aid to an ill-equipped country like Nepal, and the unfortunate custom restraints the government is placing on aid. Aid organisations around the world continue to donate food and materials, when it is readily available in Nepal, clogging up the airport and potentially wasting generous donations. Aid organisations need to rethink how they are dealing with the situation, and start to think longterm. 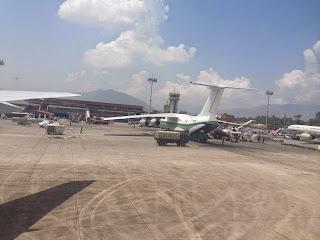 There is so much need in Nepal but the country does not need the likes of tinned fish, mayonnaise, Coke, and gum (the list goes on) - all sitting on the tarmac, donated by organisations and governments. The view from the window of the taxi is both disturbing and confusing. Confusing in the sense that Kathmandu is by no means a complete disaster zone. The vast majority of buildings and houses, although poorly built, are still visibly ok. I think of the ABC news headline ‘Kathmandu - complete devastation’ and the CNN headline, ‘Kathmandu, utter destruction’ and wonder if the journalists were linking ‘pre-quake Kathmandu’, a city of mess, chaos, and underdevelopment, to Kathmandu now. Had they travelled to Kathmandu pre-earthquake, would they have chosen a similar headline? Or are they just using exaggeration to prove a point? A good Nepalese friend of mine states “…see Mat, Kathmandu is nothing like your foreign media portrayed it to be, right”. He is right. One CNN reporter commented on how there is now rubbish clogging the city streets, however to anyone who knows Kathmandu, this is a normality. 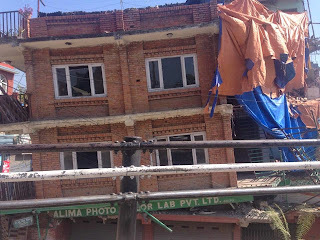 One has to know Kathmandu before the earthquake to understand the extent of the damage. It has not been physically all consuming and Kathmandu does not lie in complete devastation. The devastation is with the loss of life, the hinderance to the economy and within the hearts and minds of the people. The earthquake has drawn attention to the state of poverty Nepal is in and to what extent Nepal needs assistance. Let’s not play down the effect of the earthquake though. The city is not in a complete state of devastation however destruction and pain is obvious. Tents fill up city parks, donated from numerous charities and countries, and people walk around with a sense of sadness and fear. Everywhere there are fences that have completely collapsed, randomly and indiscriminately houses have cracked and collapsed, and roads are significantly damaged. 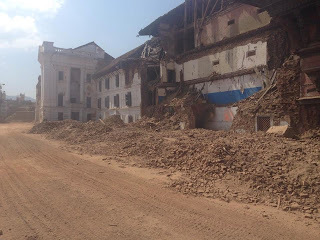 World heritage sites around Kathmandu are in complete ruin. Dunbar square is all but gone, well past a point of repair, the 19th Century Dharahara tower fully collapsed, killing over 50 people, and temples and stupa’s are now piles of rubble. 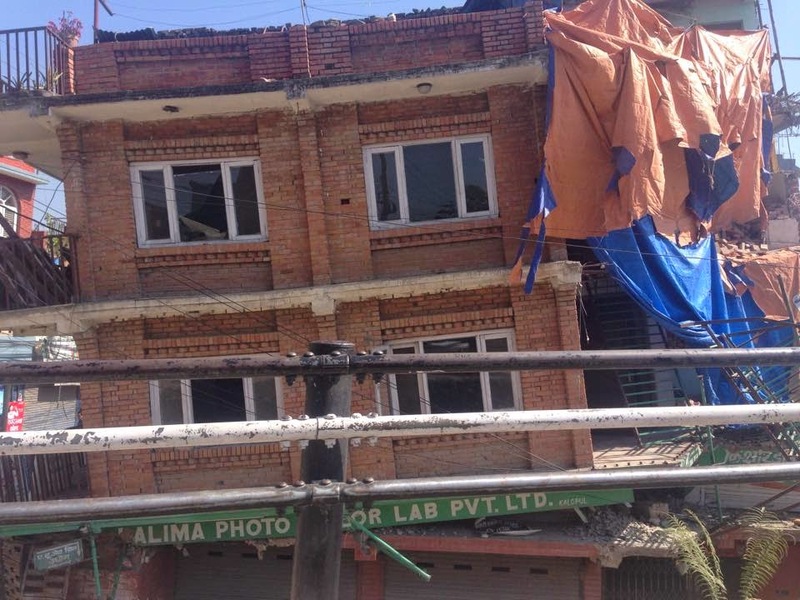 In Thamel, the old tourist area of Kathmandu, where roads are narrow and buildings are poorly constructed, the streets are littered with rubble, with many buildings cracked or now leaning to one side. Occasionally a large building has crashed to the ground, obviously killing all those inside, and creating a scene where locals and foreigners alike stand and stare into the sadness. The normally busy area is quiet, with the vast majority of tourist businesses closed, as people are either too scared to reenter their premises or they have returned to their villages. It is clear this will be the second state of the ‘earthquake effect’, a loss of business and tourism. 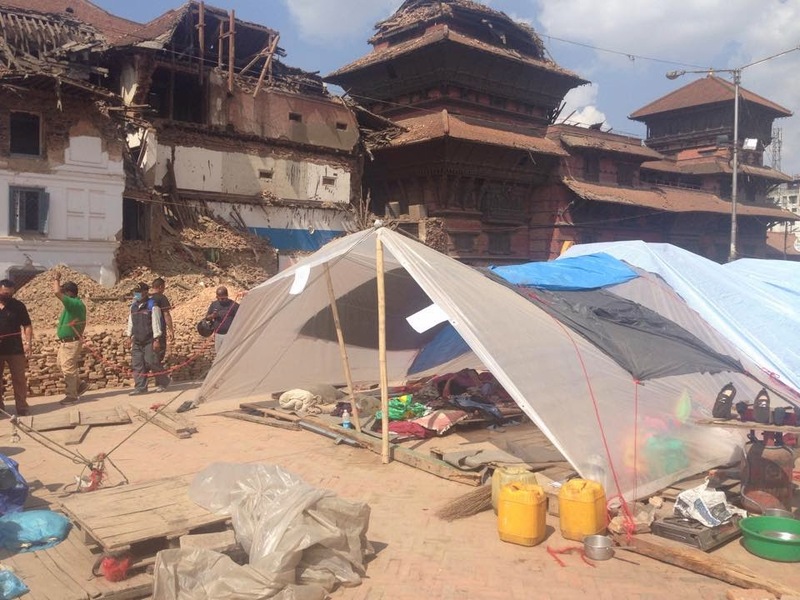 To state Kathmandu is ‘completely devastated and destroyed’ is dangerous as it sends mixed messages to aid organisations and foreign governments. Regional areas are completely devastated and they will need all the help they can get. However ‘complete devastation’ like that seen in Haiti after their earthquake, is not what Nepal, especially Kathmandu, should be compared to. Basic supplies are not really needed, as the country is now overflowing with basic medical supplies, food and tents. Actual financial assistance would be of much more use, so people can purchase the actual supplies they need, including paying for repairs and engineering fees. Today I purchased numerous tents for a friend's village, easily finding them for sale here in Kathmandu. What is needed is long term support. Support in rebuilding, strengthening and redesigning infrastructure. Assistance in strengthening and supporting the tourism industry (which is all but devastated). Providing practical assistance to remote areas and villages. Assisting the government to actually become that of a government. And again financial support to locals who will find it incredibly hard to sustain an income during the rebuilding process. Nepal needs help, but in a very different way to what is being suggested in the foreign press and by international organisations. It is a chaotic mess that will now need long term assistance, not emergency relief aid.